Look out for great deals on your favourite vitamins and supplements in our next flyer! Plus, get 15% off regular priced items on our Customer Appreciation Day on the first Tuesday of every month! 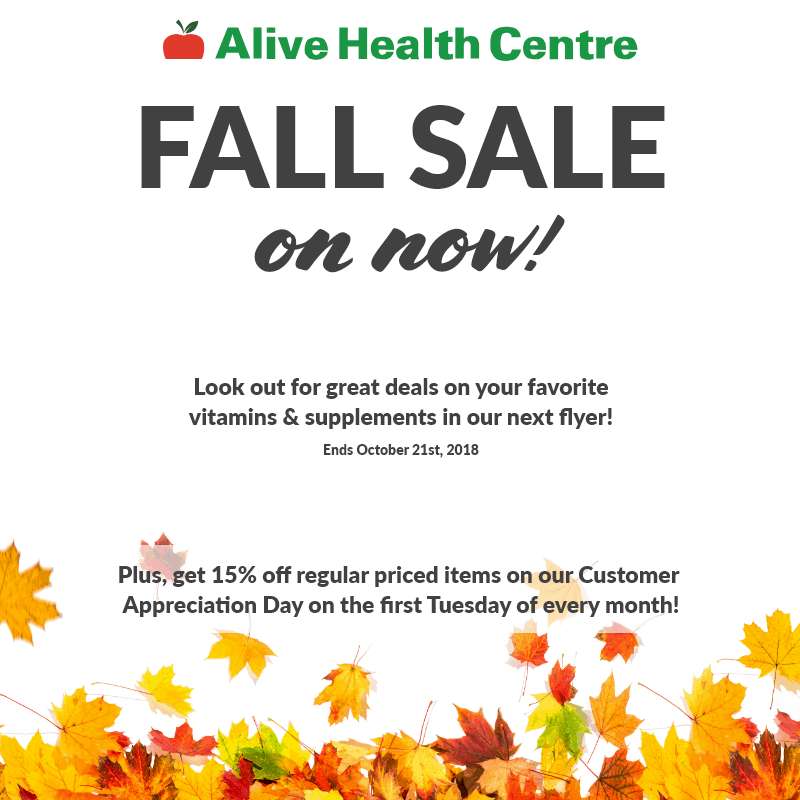 Check out our flyer and coupons at https://www.alivehealthcentre.ca/promotions.